Why. oh why, do we want to be in control? My first impression of Julie Dibble is that she sparkles with the Light of Christ! I haven’t had the pleasure of meeting her in person, but her online personna makes my heart smile. I can’t wait to share her testimony with you. Julie speaks candidly of her frustration with her husband’s extended complications from surgery and why God wasn’t handling things the way she thought He should be. She even admits to wanting to be in control. Now, I know you’ve never felt that way, right? Yeah, right. I think we all have felt that way at one time or another. But our God is longsuffering, merciful, and good to His children. 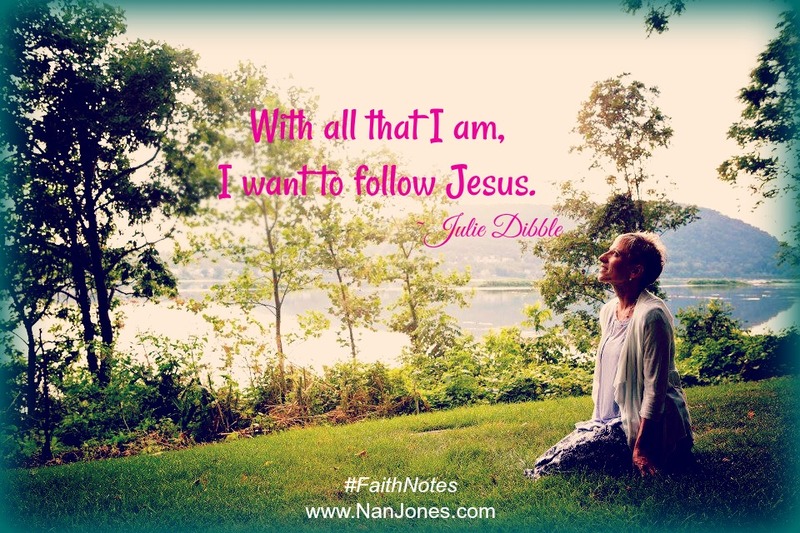 Please welcome Julie to Faith Notes. Describe a time when you felt abandoned by God, thinking He had failed you. I would not say God ever failed me. My journey includes me drifting away from Him. 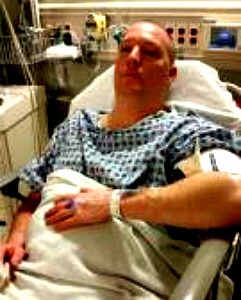 Last Fall when my husband had surgery, healing as expected for his pectoral muscle tear did not go well. Both of us have been blessed with good health all our lives. I have had a few more difficulties than Jason, but both were resolved. 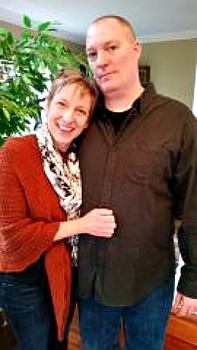 With God and good health history, we both expected Jason would begin healing as soon as surgery was over. Of course, we expected he would be off active duty from his police job for about six months. Still, we were chomping at the bit waiting for his body to repair. We were in the emergency room three times within the first few weeks after surgery. Jason had all kinds of complications. It was scary, but I felt God’s presence and His sovereignty the first trip. 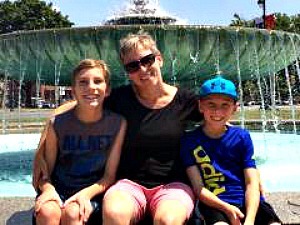 Jason had a blood clot in his arm, and God made sure all that we needed was there: childcare for the kids, a way to get the sitter the key, prayer warriors on and off scene, and a wife who remained calm even when she had to inject her husband’s stomach with a needle to administer the medicine. All was good with our souls. More trouble ensued when Jason was allergic to the medicine. After the second trip to the emergency room, I was beginning to unravel: between childcare, homework, sports, grocery, doctor appointments and adrenaline rush after rush. All the while, I had planned to write the book God gave me when the boys went back to school. The more Jason didn’t heal, the less I could even imagine writing. During this time, how was your faith-walk impacted? Did you turn your back on God for a while, or cling desperately to what you know to be true? I became overwrought thinking I had missed my calling. God first called me to speak, then directed me to write in December 2015. He gave me a very specific book direction, and I was going nowhere fast. I cried, asking Him if He still wanted me to do the things He called me to do, the purpose I had come to walk confidently in. Upon the third emergency trip, I was mad. How could this happen? Why isn’t the medicine working for Jason’s body? Why is his healing process being sidetracked by all these other things? I slipped into old behavior, where I wanted to control my surroundings as life seemed to be spiraling down into an abyss. I had to apologize to my husband more times than I care to count. At some point in my anger, I knew I needed time with Jesus. I knew deep down in my soul that Why was an old question from when I did not know God. I knew trusting God meant I would not ever know His plans. Thankfully, at this point, my husband had more mobility with his arm, which allowed me to spend more time in prayer and study. I will admit I was half scared to approach God’s throne after my bout with wanting control. I wasn’t sure what to expect, just trusted Him to be there. The resolution of my faith crisis was just as amazing as He always is. As I sought Him in prayer time, on my walks, and with my husband in prayer, Spirit nudged me to surrender more than I ever had before. In His presence, just the word surrender formed in my mind. 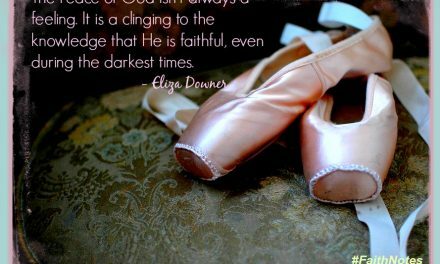 I felt such renewal and faith in Him and in the process of surrender. It’s a mind-shift. As we let go of the things we can’t control anyway, we grow ever so closer to our God. Julie and Jason four months after surgery, just coming out of the struggle of the season. With both verses, I learned how surrender can take place all day every day, sometimes! We have to literally hand over each selfish thought to Him. As I limped through my bout with sin, I dove into the New Testament. With all that I am, I want to follow Jesus. (Matthew 16: 24-25). I praise Jesus out loud at home and in public and certainly when I speak to groups. If we were in the doctor’s office, if we were at our dinner table, while sitting in my car with the windows down singing a praise song — yes, praise was key to restoration. I praise Him because we are His creation, because He teaches, because He knows, because He is mighty and can do absolutely anything. I try not to let a day go by without praise. Being thankful has changed my world, too. Just as I open my eyes each morning, right off my heart, I tell Him thank you. I consider each day as a gift at the start and try to keep praying and looking up throughout the day to stay in that place. Prayer in solitude where I can focus on Him. In our house with school-age kids, I usually get up at 4am to have the silence. Or I go for a walk, I head out the door, and seek His beauty. 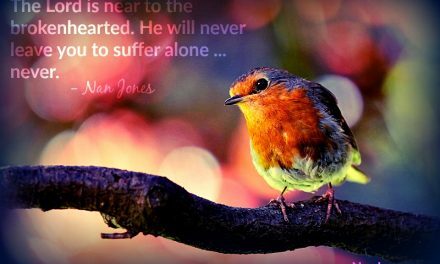 Nature affirms His loving careful plans for us. Amazing. I pray I never stop being amazed. I believe with my whole heart and soul that Jesus can do anything. Could you offer some encouraging words for those who may be seeking the Lord, especially during a painful season? Don’t hide from God, no matter what you have said or done. Jesus died for all our sins—past, present and future. Just seek Him with the real you, your feelings and thoughts. He knows what you need but still expects you to ask. God loves us so much and will share more and more with you the closer you draw to Him. And choose one or two verses to guide your season. He is the way, the truth and the life (John 1:16). 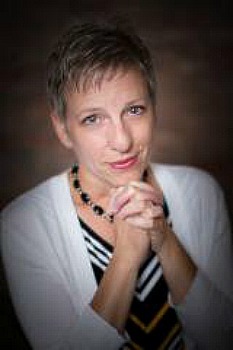 Julie Dibble, MA is a Christian Speaker and Author who is passionate about sharing Jesus’ love and truth. Immersing herself in her fourteenth year of marriage and mothering two boys, Julie drinks only strong coffee. Each day, Julie collects words to speak and write for His glory. Julie has two published articles in Purpose Magazine and is working on her first book. 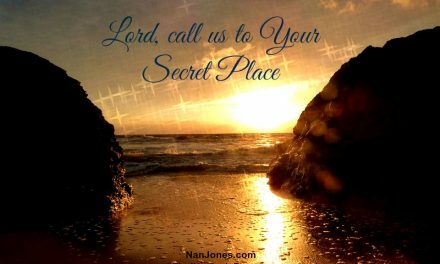 PreviousFinding God’s Presence ~ But I Don’t Want to Wait. I Want to Soar. Now. Julie, your words resonate on so many levels within my own heart. I agree when it comes to not hiding from God when we struggle. Nothing catches Him off guard or surprises Him — not even our deep down emotions — the good, bad, and ugly. He knows all and holds His arms open wide for us to enter into His presence. What a good, good Father He is. Thank you for sharing your story. It was nice “meeting” you here. Blessings! Hi Cathy, I’m so glad you stopped by. I believe many of us can relate to Julie’s struggle of remaining faithful when things don’t go as planned. I’m guilty as charged, for sure. But I must say, I’m getting better about trying to figure everything out — I don’t have total victory yet, but I’m getting there. I’m so thankful I’m learning to rest in the place of trust within God’s sovereignty. 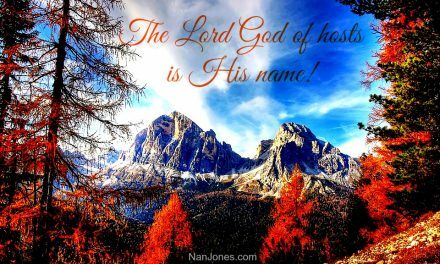 Julie and Nan, what a wonderful testimony of our “amazing” God.